One of the most romantic gestures is to write love letters to your sweetheart. Expressing in words what is in your heart is a priceless gift. Since love letters can be saved and re-read, there may be some considerable hesitance to write one. What makes a love letter so special is that it's a lasting imprint of you. In the beginning of a relationship, it's important not to overwhelm your beloved and push her/him away. As a relationship grows, there is an increasing desire to be close to one another, and a small reminder or reassurance of your love can make a significant difference in your relationship. You can write meaningful love letters using this simple method. Where do you start? With an opening of course. Your own unique style as well as the type and the length of your relationship will determine the opening or greeting. See below for some examples. Get a sheet of paper or start typing. If you type slowly, use a pen and paper to get your thoughts to flow quickly onto the page. Keep a photo of your loved one in front of you and relax in a quiet place. Put your feelings into descriptive and detailed words by reviewing the Love Words List below to help inspire your creative writing. What words relate to your relationship and stand out to you? Write them down on a piece of paper or print this document and circle some of the words. Now just start writing. Form your sentences specifically around the words you chose. This is just to get your ideas on paper and into a rough draft. Don't worry about spelling, grammar or how it sounds for now. Focus your thoughts. The words will flow as your love guides you. All you need is already in your heart. Look up love song lyrics for words or phrases to customize, but don't copy them word for word. The purpose of a love letter is that it's your writing, not someone else's. If you get stuck, review the word list again or stop and come back to it later. Now that you've done all the hard work of pouring your heart out on paper, use a closing with your name. Be creative with some of the examples below. Edit your first draft. Read it out loud. Make some more changes and adjustments. This step may take more than one day so don't rush. Add some more descriptive words from the list to your sentences. Order the flow or your sentences so that similar ideas are grouped together in a paragraph and different ideas are in separate paragraphs. Review your final draft for spelling and grammatical errors by using spellcheck on your computer. If you are not very good with grammar and have a trustworthy friend who is, have them read it for proper grammar. Place the date on your love letter since it will be a lasting reminder for years to come. Don't look for perfection or you will never give the letter to your loved one. Present your love letters creatively using: your own handwriting, calligraphy or a calligraphy font, a scroll, stationery paper, folded as an origami heart, enlarged as a poster, message in a bottle, attached to a gift, personalized sculpture , etc. Now that you know how to express your heart in words, don't stop with just one. Write love letters throughout your relationship to bring you both closer and keep your passion alive in the years ahead. Your love letter printed on a parchment paper scroll with the text flipped to be read in a mirror. 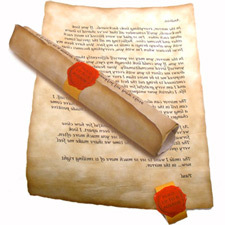 Or print the letter normally and add a custom text "wax seal" wrapper. Love letters are one of the best ways to show people you love them. 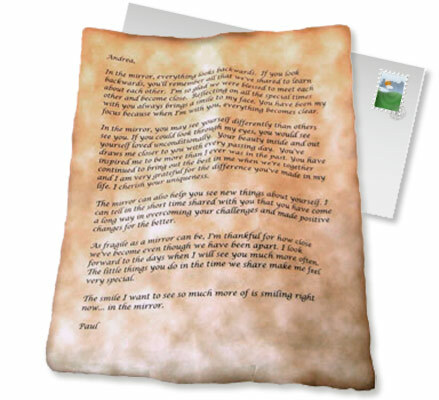 In an age where texts and emails are such a prominent form of communication, written letters are special and cherished. But sometimes pouring your heart out on paper can be hard. To get you inspired to write, FTD created a love letter generator. It has poems, sayings, quotes, and letter templates that will spark some ideas for writing a heartfelt letter, whether that's to a spouse, date, friend, or parent. 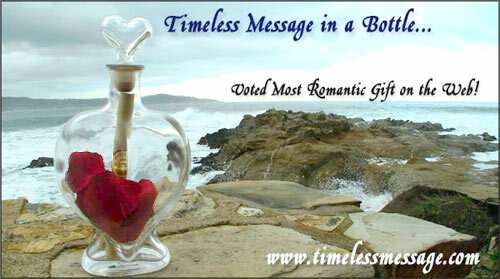 Just choose your recipient and the message you'd like to send, and get writing! For more help, read some sample love letters and preview a book on the basics of how to write love letters .